Add a new dimension of taste and aroma to fine liquors, brandy and spirits with The Perfect Measure Buffet Bar Tray SetOld English . 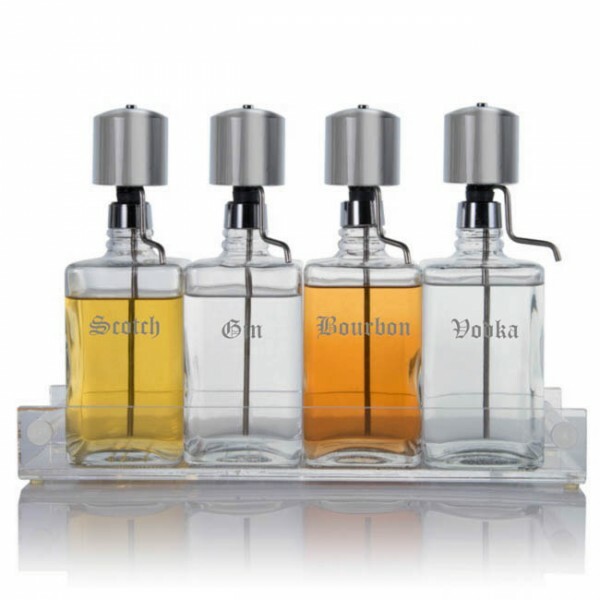 This elegant 5 piece set (4 decanters with chrome pump and the acrylic tray) will bring both beauty and function to your home and make a wonderful addition to any well appointed bar. It makes a beautiful presentation of any liquor.The set makes a unique gift for the brandy/spirit enthusiast and that special occasion. Store and pour liquor using this Buffet Bar Tray Set. 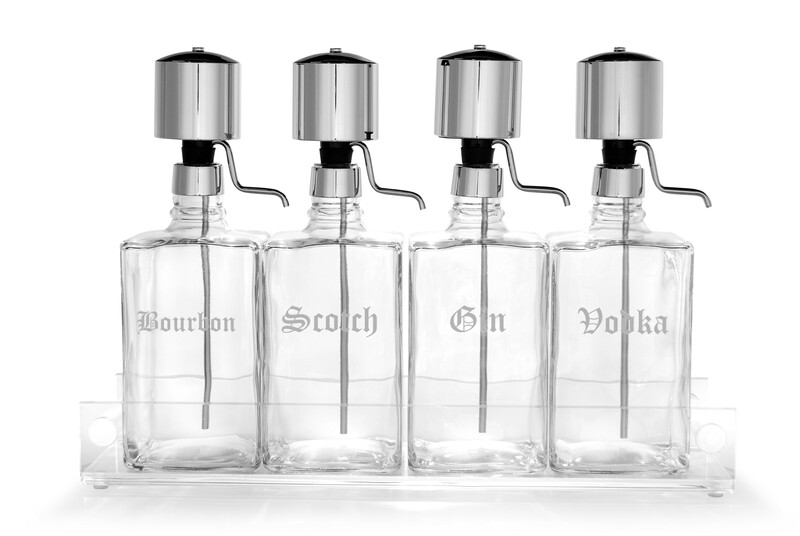 Ideal for serving spirits or liquor's with the reliable Perfect Measure dispenser pump. Easy palm-action dispenser pump measures a drop to 2 ounces. This beautiful piece eliminates spills, waste and drips. 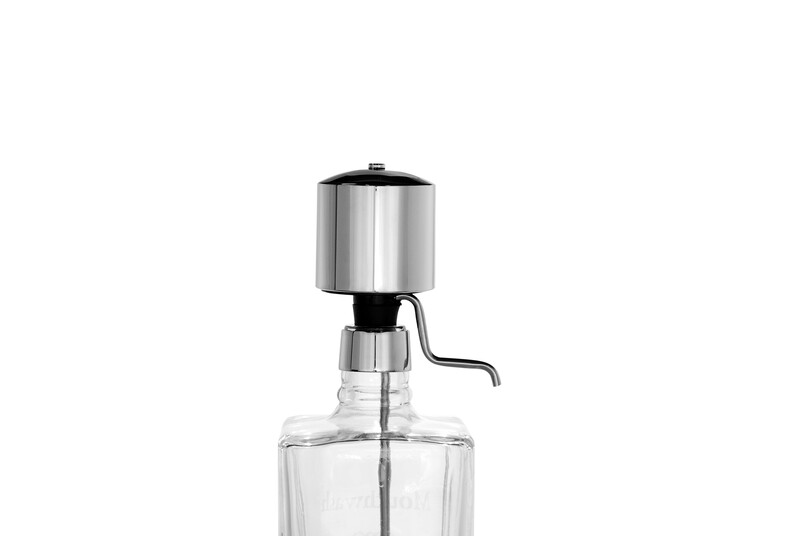 Our perfectly designed, distinctive dispenser with a handsome chrome pump, is even more attractive and strong enough for commercial use too. Decanter base is 3.5" x 3.5", height is 8" without pump; approximately 10.5" with pump; and approximately 11.5" with pump in the tray (acrylic tray bottom adds to the height). 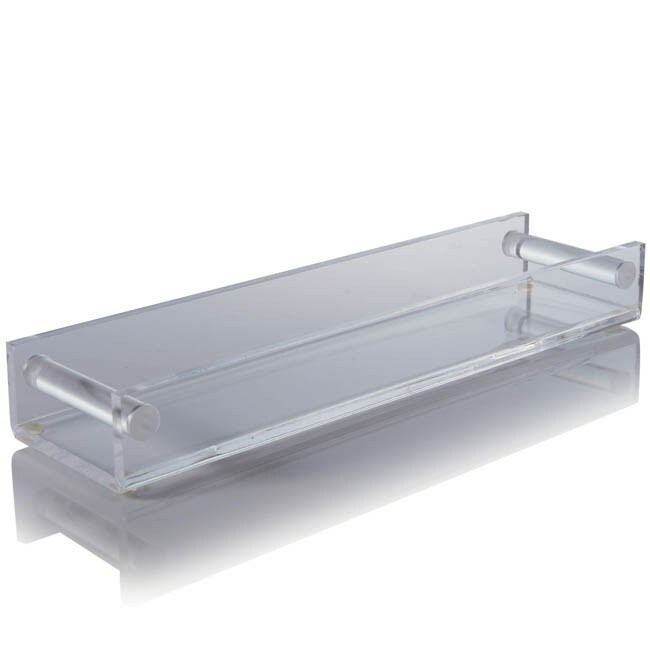 Heavy acrylic tray for portability. Tray dimensions: 16.75"L x 4.5"W x 2.4"H.
We sell single liquor/spirit decanters from this set too ! 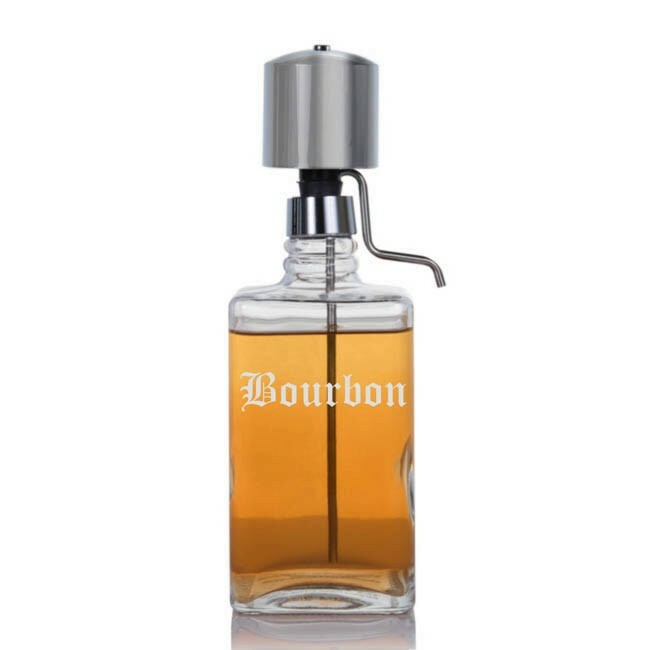 If you need CUSTOM ENGRAVING on this decanter (for example: with liquor name which is not among the basic engraving options, your name, monogram, company logo, event logo etc.) please CALL US - 866.495.4521.